In a letter to the heads of the House and Senate judiciary committees, he says he expects to be able to publish by mid-April, “if not sooner”. It comes a week after he published a four-page note summarising its conclusions – sparking demands for the report to be released in its entirety. 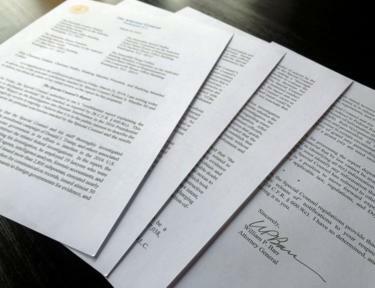 On Monday, six Democratic congressional committee chairs sent a letter to Mr Barr demanding the release of the full, “complete and unredacted” report by 2 April. “Everyone will soon be able to read it on their own,” Mr Barr wrote in his letter to congressional committee chiefs – although it will be redacted to remove legally sensitive material. It investigated whether President Donald Trump’s campaign had colluded with Russia in 2016, in order to help steal the US election, but after a 22-month inquiry Special Counsel Mueller cleared the president of collusion. 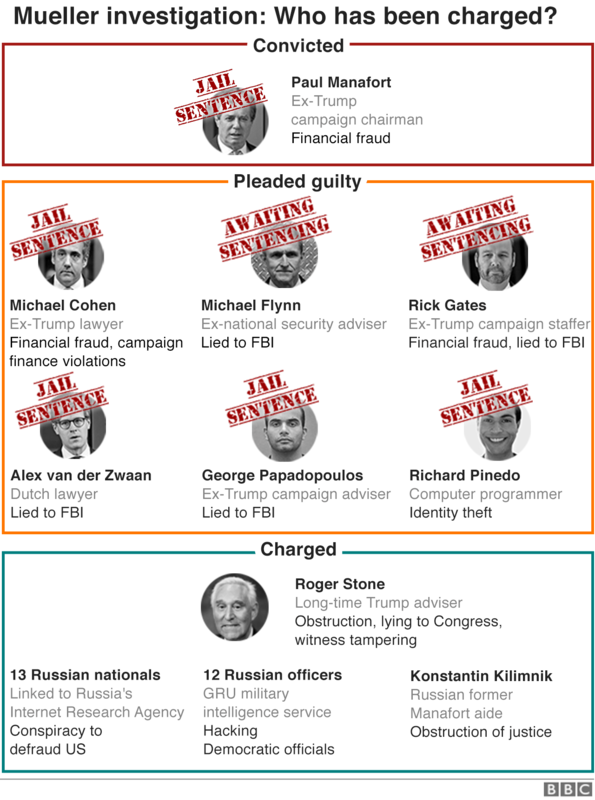 Since former FBI director Mr Mueller was appointed to head up the investigation, his team has charged 34 people – including six former Trump aides and a dozen Russians – as well as three companies. What else does Mr Barr’s letter say? As well as promising to release a redacted version of the report, Mr Barr says that he won’t be giving a copy to President Trump to review before publication, because “he has stated publicly that he intends to defer to me”. The attorney general also denies that his letter released last week was a “summary” of Mr Mueller’s report, instead referring to it as a “supplemental notification”. “My March 24 letter was not, and did not purport to be, an exhaustive recounting of the Special Counsel’s investigation or report,” he writes. “The Special Counsel’s report is nearly 400 pages long (exclusive of tables and appendices) and sets forth the Special Counsel’s findings, his analysis, and the reasons for his conclusions. Everyone will soon be able to read it on their own,” Mr Barr’s letter adds. Mr Trump has described the accusations against him as “treasonous”. 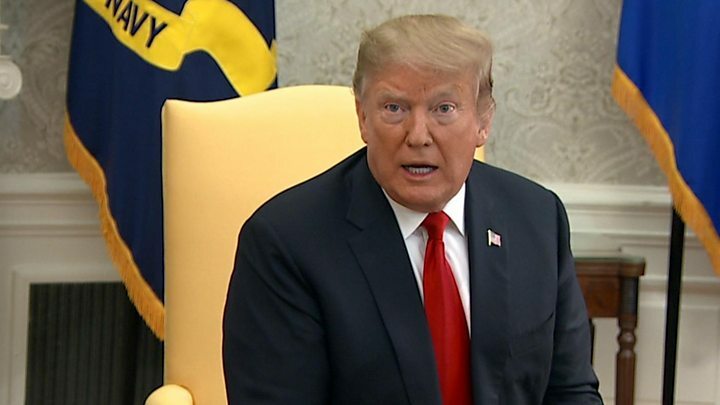 In a rally on Thursday – his first since the report was submitted – the president claimed (incorrectly) that the report was a “total exoneration”. 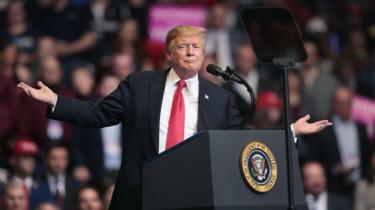 “After three years of lies and smears and slander, the Russia hoax is finally dead, the collusion delusion is over,” he told a cheering crowd in Grand Rapids, Michigan. He also called the investigation “a plan by those who lost the election to try and illegally regain power by framing innocent Americans – many of them, they suffered – with an elaborate hoax”.